Why Do Doctors Order Blood Work? Blood tests can help your doctor evaluate how well your body is functioning while checking for the onset of disease and other medical conditions. Routine lab work often provides the earliest diagnosis of problems with your kidneys, liver, thyroid and heart. It also allows your doctor to determine whether your current medications are working as intended or need to be adjusted. Since the lab work is used to measure many different substances in the body, you may be asked to not eat any food for 8 to 12 hours prior to blood being drawn. It is not uncommon for your primary care physician to recommend routine blood work depending upon your age, medical history, family history, lifestyle and chronic illnesses. 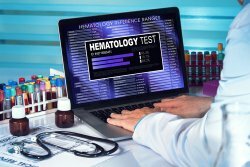 Although there is no required blood test for an annual checkup, a complete blood count and blood chemistry panel can help identify early signs for numerous disorders. Is It Good News When I Don't Hear About the Test Results? A primary care provider most often uses routine blood tests for updating comparative benchmarks that help them determine how well your body is functioning. Since there is no set rule for reporting results obtained from blood work, your doctor may or may not feel the need to connect with you to discuss your results, especially when everything appears normal. Nonetheless, the National Heart, Lung and Blood Institute recommend that patients ask if there were changes since the last test and how those changes might impact their health. If you wake up feeling tired, can't stay asleep at night, suddenly develop new symptoms, experience significant lifestyle changes, or are interested in being checked for a particular disease, schedule an appointment at either PrimeMED location to discuss the results of your lab work with our board certified physician.